Janet Runyan is a nationally-ranked distance runner whose goals have served as motivation and inspiration for improving her whole life through athletic pursuits. 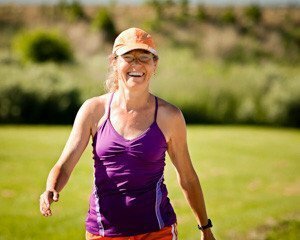 She has worked as a running coach with hundreds of elite and recreational runners over the past 25 years in the Boulder and Greater Denver areas to improve their running form with profound results. Janet also believes that running should help your whole life. She lives a holistic lifestyle that supports her own running accomplishments and provides a foundation for others to do the same, including: meditation, cooking and eating an organic, whole foods diet, and balancing activities. She helps people work toward their goals in a balanced, healthy, and sustaining way. The goal isn’t just to run better, it’s to live a more fulfilling, healthier, and happier life—with running as an integral part of that. Knowing from personal experience and from the benefits she has seen in others, she feels this kind of approach to running can develop and enhance life qualities such as endurance, determination, patience, tolerance, and balance. Janet has also had a life-long love of music. She earned a Bachelor of Music in Piano Performance and taught piano in Boulder for 10 years. She still enjoys teaching piano privately as well as at Running River, a private elementary school, where she teaches music and composes songs for many of their school plays and performances. 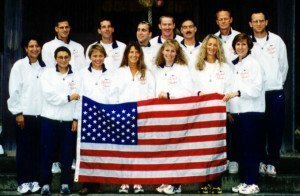 Janet has a long list of racing accomplishments; she was the National Champion for 100k in 1996 and participated on the World Cup Team in 1998.